Mound Magazine captures the positive aspects of life in the Mount Sterling area. Stunning photography and captivating stories give readers information they can use, think about, enjoy and share with others. 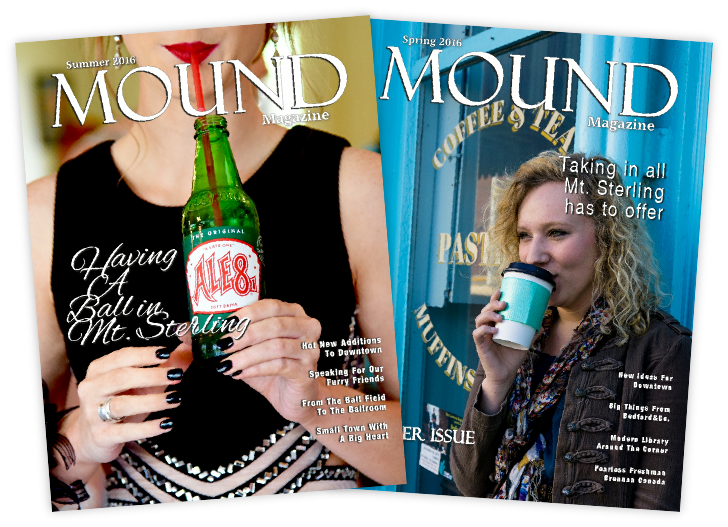 Mound Magazine is the area’s only full- color lifestyle magazine. It’s another great thing about living in Mount Sterling!